One of the reasons we decided to switch to a tackle review blog is that we felt there are a lot of lures that don’t get the attention they deserve. Extremely efficient and affordable lures, that people have no clue about. Now that got your attention, right? Behind them usually stand small companies or even individuals that didn’t make it to the big markets, like US or Asia. Krakusek is one of them. 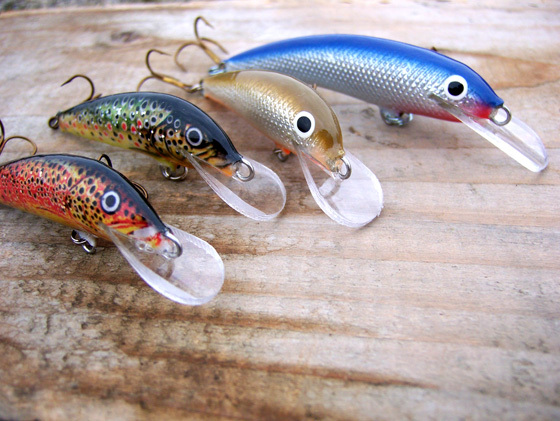 They design great hand made lures at a very good price. 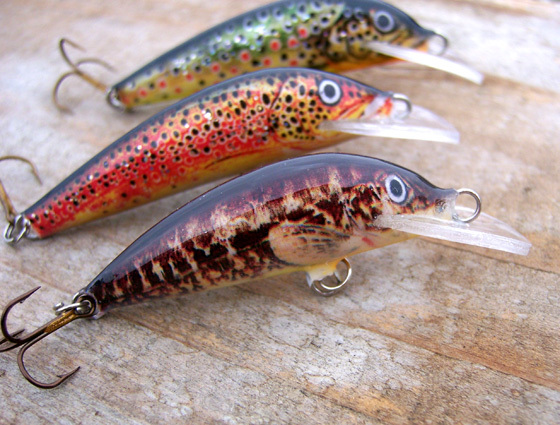 The polish company has 6 models of small to medium sized lures, targeting species like: trout, chub, asp, walleye or pike. Our focus for today is the Krakusek No. 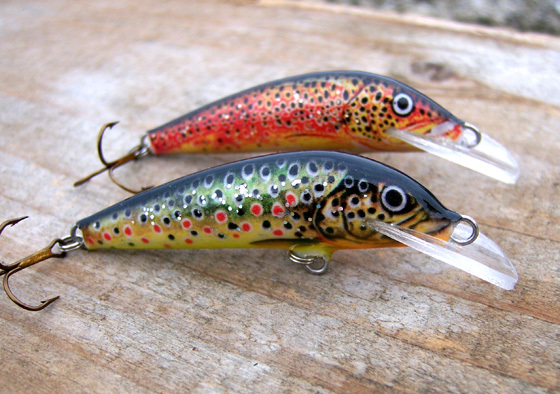 1 model, the first Krakusek lure to be produced. As you can see it comes in 3 different sizes and you can choose from a wide range of 28 appealing patterns. Finish: Krakusek lures are all made of foam. The No.1 shape was initially inspired many years ago by one the first lures out there, the legend called Rapala Original. Legendary shapes that last... Krakusek No. 1 makes no exception. Even though there’s nothing spectacular about the shape of these lures, the big difference is in the positioning of their lip, very close to the line tie, at a very sharp angle. Besides, the lip is concave, not flat like you would normally expect. I’m quite sure this is responsible for the lure’s aggressive action. The lip shape and positioning is the key to Krakusek's incredible action. The bill, concave shaped and very close to the line tie. Krakusek lures come with two types of patterns, foil and photo finish. The photo finish features lifelike patterns, on top of which resides an appealing glitter layer. And as you will see in the video footage, the glitter really adds some sparks to the lure’s action. 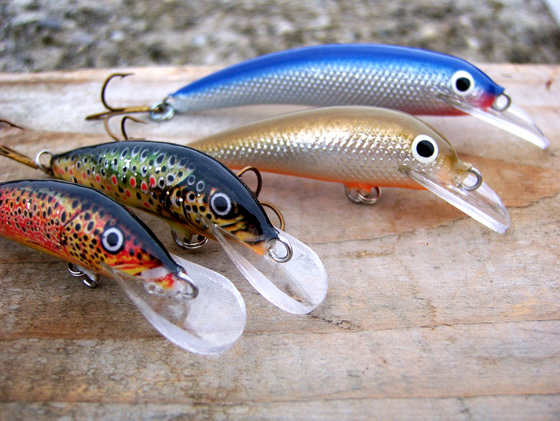 Different models of Krakusek lures, with a wide range of lifelike patterns. Foil is also nicely combined with carved gills and some back and belly paint, ending up in some nice flashes when this one dives in. 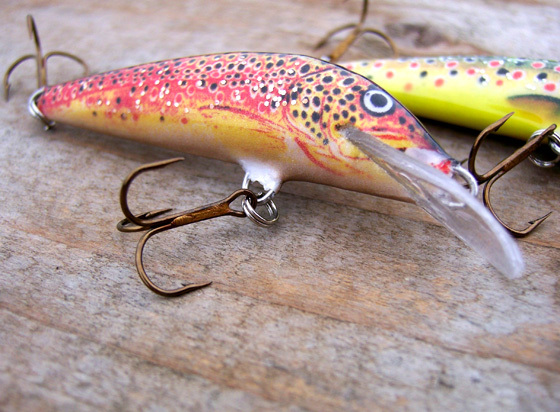 Unfortunately, no 3D details on this lure. Terminals: These lures come equipped with Mustad trebles and the old fashion round split rings. Even though their size doesn’t recommend them for big predators, I would totally suggest an upgrade on the trebles. They tend to bend quite easily. I had some unpleasant experiences with this type of trebles, fishing for asp, when after a powerful strike all my Mustad trebles became straight. The color is good though. Mustad trebles, not the best option if you're planning to land a trophy fish. Casting: Distance is one important aspect, especially when you are after cautious fish, like trout. Krakusek lures have a good weight/length ratio, and they cast quite well. Their shape and eyelets positioning make it pretty hard for the trebles to tangle with the line while aiming for that perfect cast. Although, I think coming up with a sinking version will add some extra weight, which can be a big plus in casting distance. 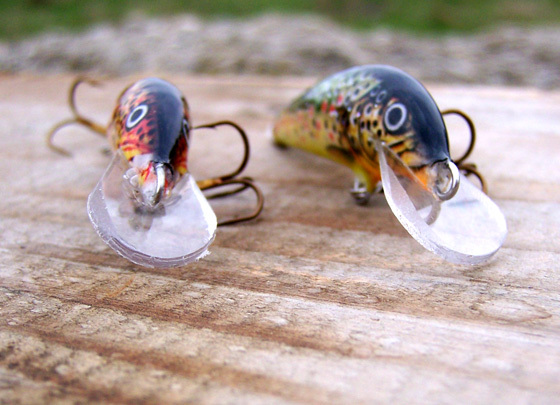 I’ve always been a fan of the sinking/suspending versions, especially when it comes to small sized baits. Krakusek lures cast well, but a sinking version will definetely outcast the actual floating one. The biggest model will dive up to 2m on a normal cast. Of course trolling will get them deeper, but normally you can get them easily around 1-1.5m. Action: This is what I love about these lures. Their aggressive action and incredible stability. I discovered these lures three years ago, while trout fishing in Norway. We were fishing in a pretty wide stream, around 30 meters and about 1-1.5 meters deep. I was using a small spoon, because it casts big time and you can explore every inch of water with it. One of my friends was using a Krakusek lure, and while taking a short lunch break he showed it to me. I loved the shape and colors on that one, so I decided to make a few casts. All lures perform impecable right out of the box. The lure’s action was incredible. It worked like a charm with or against the current. As you will see in the video it has a fast and aggressive swim, not wide at all. And it’s extremely stable even in the most powerful streams. I got about a dozen of them, and they all work like a charm, right out of the box. No exceptions. How’s that for a 5$ lure? 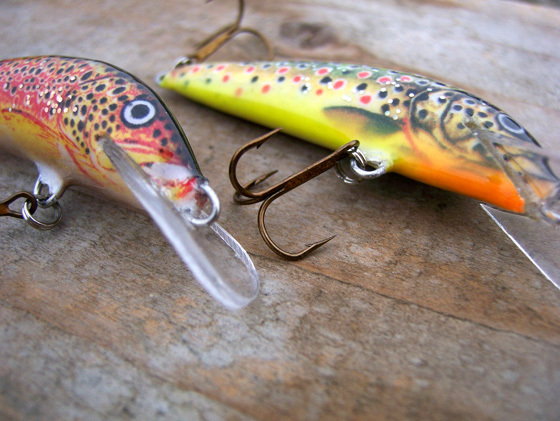 Application: I think these lures are just perfect for stream fishing. Forget spinners and spoons for a second and put these on. You might be impressed, most of the times they turn out to be trout catching machines. I’ve also successfully used them for chub, perch and asp, and heard they tend to be quite effective on barbels, pike and walleye. They look kind of hot, don't they? If you can forget about the design details and features JDM lures accustomed us with, and want a lure that performs impecable at a very good price, than you definitely need some Krakusek lures in your tackle box. I guarantee they won’t let you down. This entry was posted in Featured, Hard Baits, Reviews. Bookmark the permalink. Post a comment or leave a trackback: Trackback URL. lures world is a jungle and some people like you takes time to get jungle clearest. but for jungle hooks, i’m lost inside…no good tests. 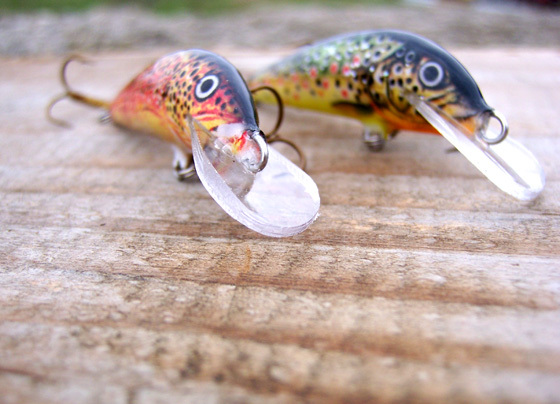 We prefer Owner Stinger trebles… the size depends on the lure. Considering Krakusek are not the most expensive lures, I would suggest lower priced trebles (2 set of owner trebles are about the same price as a lure in this case:) ), that are tougher.. these trebles from mustad are much better: http://www.mustad.no/productcatalog/na/product.php?id=562 . j2m, welcome to the blog! Looks like Andrei already gave you the answer. If you like our articles please consider subscribing to the newsletter, so we’ll email you each new review posted. Please contact the people from Krakusek, they will be more than happy to send you some samples if you promise some nice pictures. you can find and automatically install plugins directly from within Word – Press. energy saving efforts should be focused. particular subject matter, your viewpoints happen to be rather stimulating. are your self not even completely convinced of the assertion. compatibility. Ki Grinsing was graduated from a technical college with the additions of MCSE and CCNA certifications and long years of working experience in IT. with time is Online Computer Support. sorry, but I do not subscribe to your whole strategy, all be it refreshing none the less. of the argument. In any event I did enjoy reading through it. The augmentation will also add groggy and oftentimes however medicated in fact it is generally suggested never to drive when within the affect of any pain medications. Thanks so much for sharing all of the great info! I’m looking forward to checking out more posts! it takes to break down and eliminate their fat. this real easy to understand. Great write up guys. I look forward to reading more lure reviews from you all. 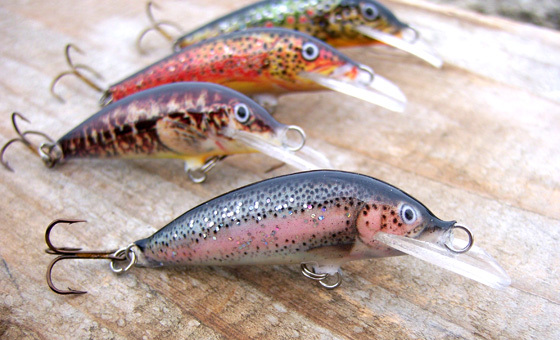 The lures definetly look the part of being a great bass lure in the United States.